What’s the difference between arts & crafts? Aren’t all crafts a work of art? But all art isn’t crafty? 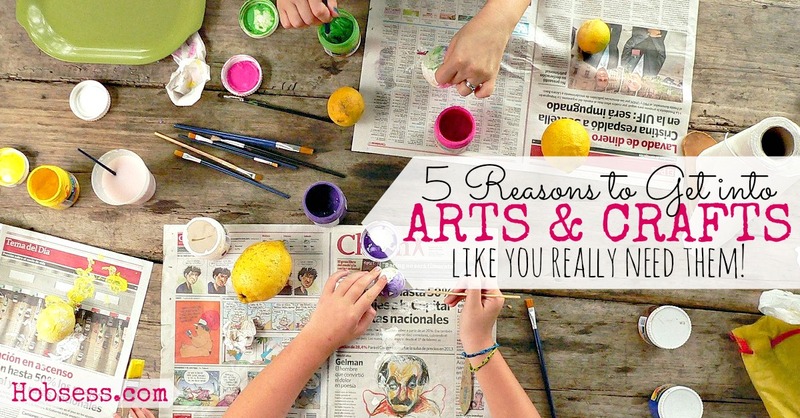 There are five very important reasons why you should explore arts & crafts. If you can find a hobby in the Arts and Crafts category, you very well may be introduced to a hidden designer within you that you never knew existed. Learning a new skill does take time but once you get the hang of it, you can create one-of-a-kind works of art. Anytime you make something handmade, it is obvious that your heart, soul, and love went into making it. Handmade products are the most meaningful because it illustrates that someone took the time to make an incredible something out of nothing. Your thoughtfulness shines through in anything you make by hand. Gifts are right up there with death and taxes. Just something you have to do! Having a hobby in the category of Arts and Crafts will allow you to save money by making a gift for someone special. You have the supplies already! You were going to make something already! Can’t you see how easy it would be to save money and time shopping by creating your own gifts? Your family, friends and bank account will love you for it. Handmade products can be given away with love while you are here and then after you are gone. It is a way to leave your mark on the planet and allow others to enjoy and remember you. I know. A little morbid. But what better way to give a piece of yourself to others long after you are gone? You always need a Plan B. If you decide you want to make a little cash on the side, you can always sell the handmade products. There are so many venues to profit from your hobby now both online and in person. You can attend craft fairs and sell directly to your customers. It’s always good to have a back-up plan and your new Arts and Crafts project could get you there! I know. There’s a lot. And this isn’t even all of them but it will give you a place to start. Let me hear from you below, which Arts and Crafts hobby are you ready to try?